The “MagicFriends Xmas” App for the iPhone and iPad is now available for download on the App store allowing real conversations with Santa. “It has been great fun to watch children talking to Santa and his friends. The conversations are sometimes hilarious. Children’s imaginations have no limits and you never know where the conversation will go." - Mike Hennessy CEO of Caramagic. Caramagic today released the "MagicFriends Xmas" app for kids on the App store. 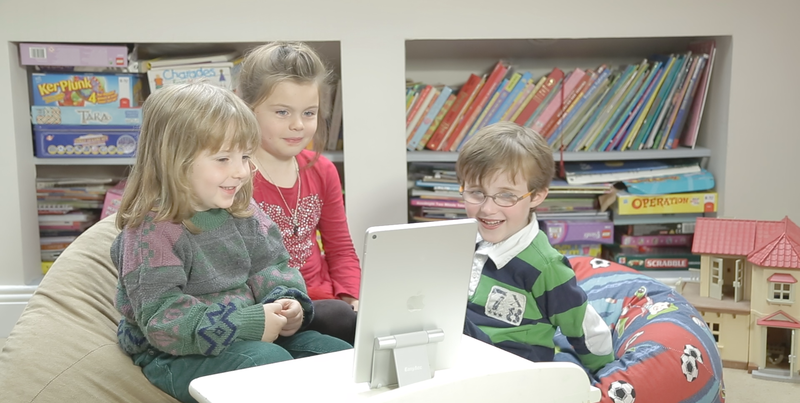 "MagicFriends Xmas" enables children to have real conversations with Santa and his friends on an iPad or iPhone, where Santa is actually voiced and animated by a parent or family member as the Puppeteer on a second iPhone or iPad connected via Wi-Fi over the internet. Once the call is made the child chats with a fun, animated Santa, Sam the Snowman, Candy the Elf or Prancer on their screen, in a world of make believe. Children can laugh, joke and hear stories straight from Santa and his friends. They can also tell Santa exactly what they would like for Christmas -- and know he heard every word. MagicFriends is built on the latest VoIP platform, which allows the puppeteer and the child to be in the same house or miles apart. The app’s voice changer allows the Puppeteer to morph their voice to match each different character. This morphed voice syncs with the mouth movement of the character on the child’s screen. 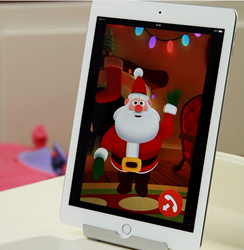 The Puppeteer controls the animations and with a simple swipe or tap can make Santa and his friends jump, wave, wink, dance and twirl on the child’s device. Welcome to the world of digital puppets. Because the Puppeteer is played by a parent or family member they know their child, from their birthdate to their favorite color, toy or bedtime story. This creates moments of magic for the parent and their child that will last long after the holiday season is over. MagicFriends has the potential to transform how parents and their children play. It brings language and conversation to the world of make believe in a way never achieved before. It develops their imagination and promotes learning and creativity. Through conversation and interaction, a child picks up language skills and absorbs the basics of social interaction, which is essential to their growth, healthy development and building self-confidence. "MagicFriends Xmas" can be seen in action at http://www.magicfriends.com/xmas. 4 Xmas characters; Santa, Sam the Snowman, Candy the Elf & Prancer the Reindeer. Conversation and animation controlled by the adult puppeteer: characters can jump, wave, wink, twirl and more with a simple swipe or tap on the screen. MagicFriends Xmas is safe and secure. The app can only be used under parental supervision and devices can only connect through the acceptance of an email invite sent by a parent or guardian. Access to Sam the Snowman is free. For access to all characters with unlimited character calls, users can upgrade to a paid annual subscription of $3.99. Caramagicis an app publisher located in Dublin’s Digital Hub technology campus.